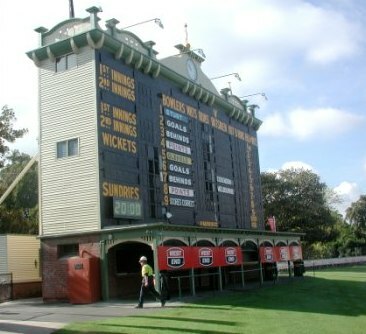 The Adelaide Oval scoreboard began service 100 years ago, on 3 November 1911. 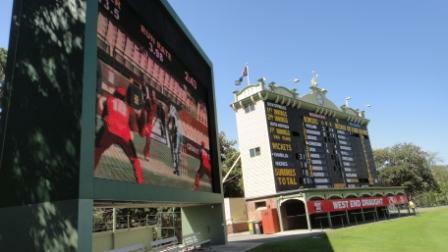 The scoreboard is not Adelaide Oval’s original: the first was erected in 1879 and another in 1885. The one which preceded it was ‘re-erected’ in 1898. They were simple boards with the operator, in front, hanging plates on hooks. The scoreboard’s chief operator Frank Scott helped cut the scoreboard shaped birthday cake. 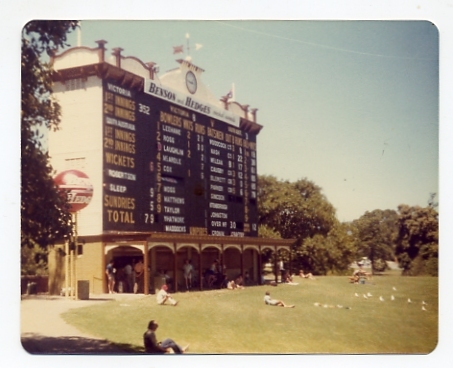 The scoreboard was designed by distinguished architect Kenneth Milne for the South Australian Cricket Association. 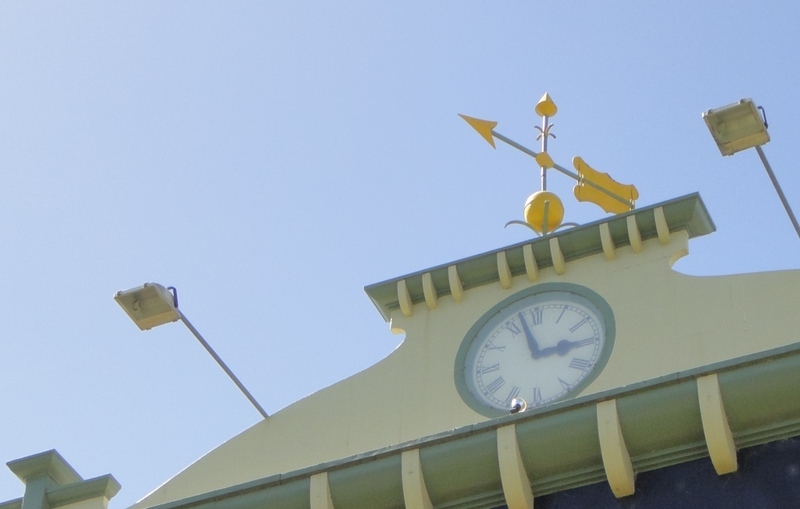 Milnes’s other clients included the Hampshire Hotel, the South Australian Brewing Co, the Edments building in Rundle Street, as well as banks, hotels, churches, houses, woolstores, swimming-pools and picture-theatres. 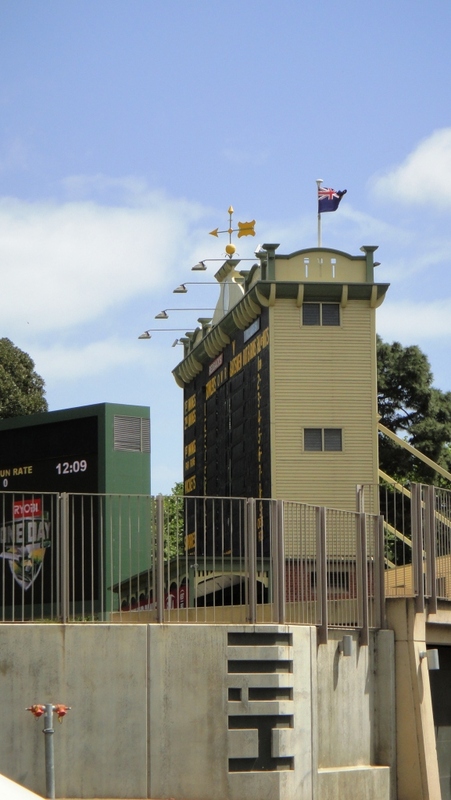 Milne belonged to the Adelaide Rowing Club, the Amateur Sports Club and the South Australian Rugby Union. To celebrate his ninety-first year, he stroked an A.R.C. VIII on the River Torrens, with three family members in the crew. He died on 3 October 1980 at Calvary Hospital, North Adelaide. 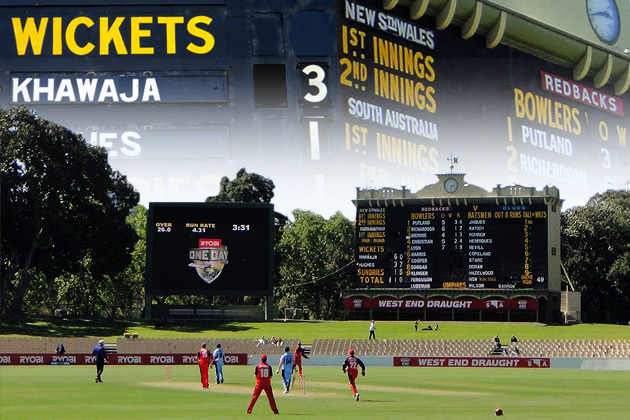 The South Australian Government is contributing $535million to a redevelopment of the Adelaide Oval. 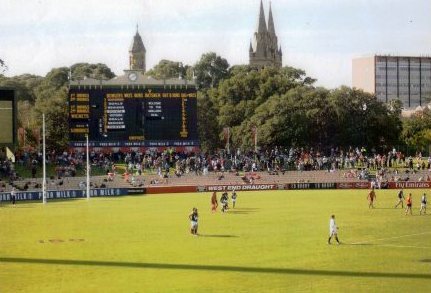 While much of the ground will change, the scoreboard, plus the oval’s Moreton Bay Fig trees, the cathedral views and the grassed northern mound will be retained. 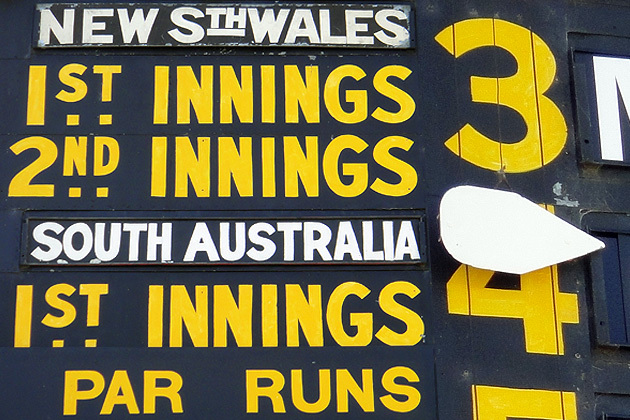 Photo by Les Everett, from a long-ago Sheffield Shield game between South Australia and Victoria. 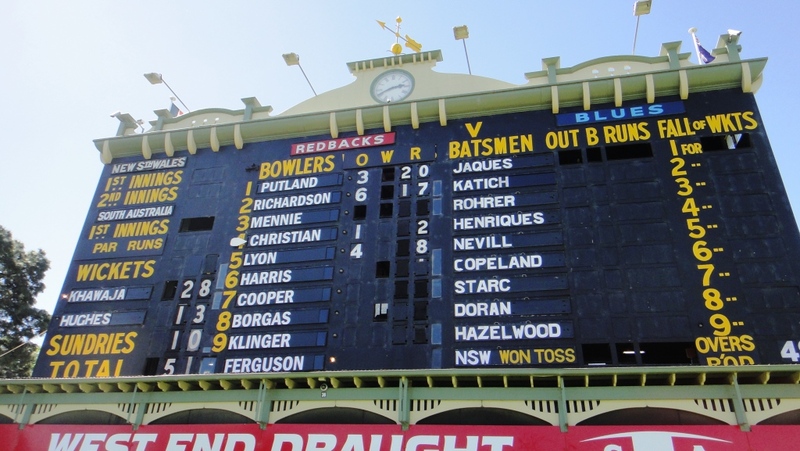 Players included Peter Sleep, Bob (father of Greg) Blewett, Barry Causby, Trevor Laughlin, Dav Whatmore and Brendan McCardle. All photos by Jesse Maskell, unless stated otherwise. 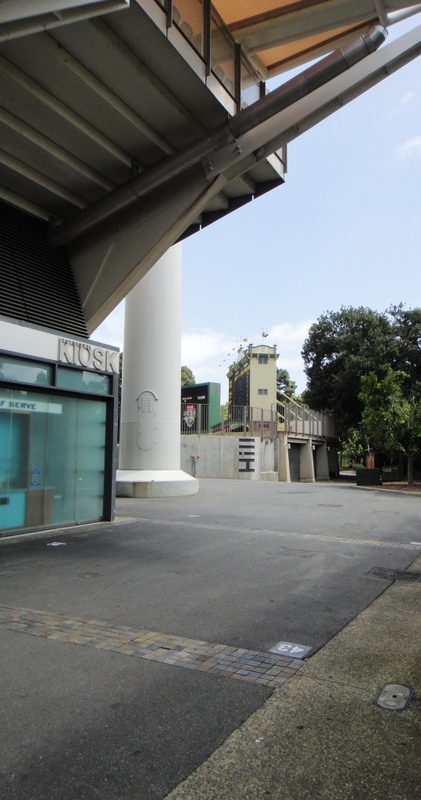 However, in your wrap-up, you mentioned Greg Blewett as being part of a team on the Les Everett photo. The Blewett in question would actually have been Bob Blewett, father of Greg.